A unique pendant made from a set of Scrabble tiles. 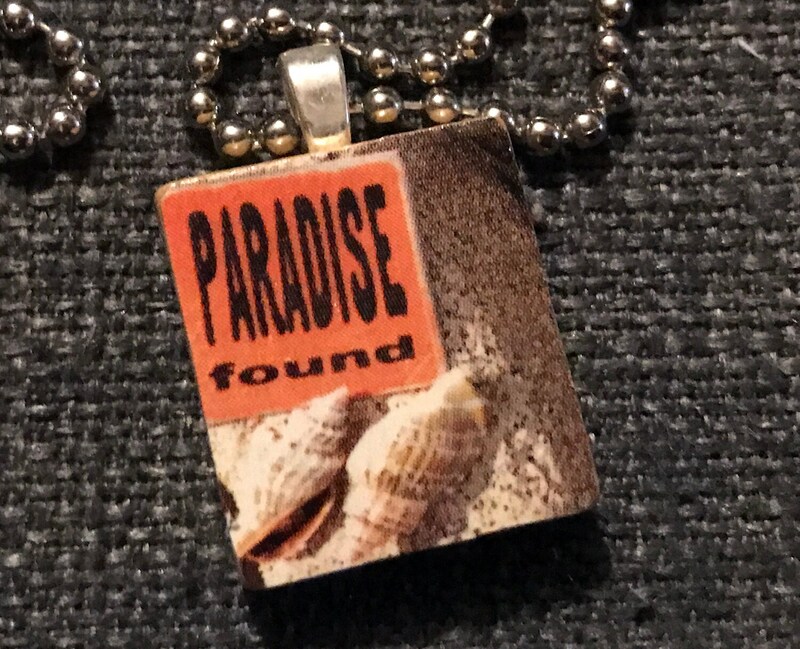 This one is fashioned with a Paradise Found and seashells image cut out from a summer catalog. The 24-inch stainless steel ball chain necklace makes this an easy go-over-your-head necklace to put on.